Louth Academy students celebrate their GCSE results today. 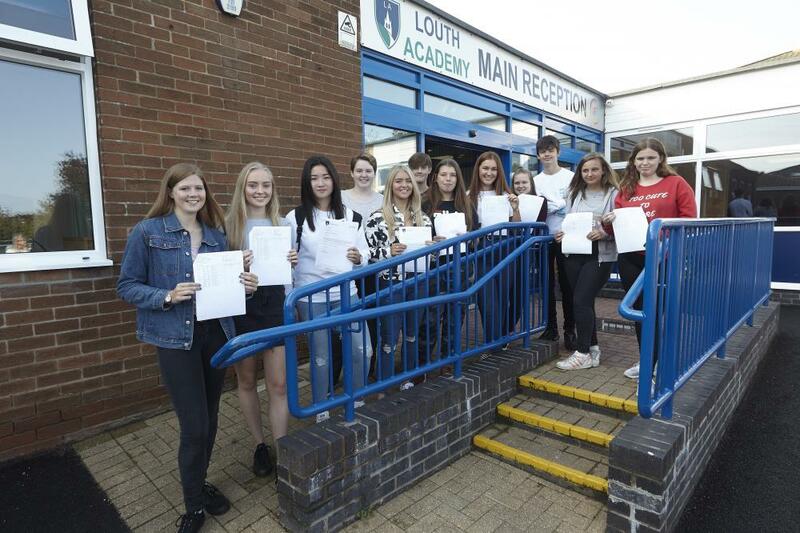 Louth Academy students are celebrating today as 52% have achieved a standard pass or above (Grades 9-4) in their English GCSE, with the same pass rate in Maths. Under the new system, subjects have been marked from Grades 1-9, with a standard pass being a Grade 4 and a strong pass being a Grade 5. In Art and Design, 100% of students have achieved Grades 9-4, a standard pass or above; 68% of students have achieved the same standard in R.E. ; in the Sciences, 73% achieved a standard pass or above in Biology and 63% in Chemistry, with 58% achieving a standard pass or above in Physics. Other successes include: 78% of students achieving a standard pass or above in Food Technology; and 70% achieving a C grade or above in Business Studies. These results have contributed to a significant rise in the average point score for each student in their best 8 GCSE subjects. This provides a clear indicator for the improvement in their overall academic performance. Martin Brown, Executive Principal of Louth Academy, said: "I am very proud of the staff and students who have achieved these good results. These outcomes reflect the positive attitude and hard work of the students and the dedication and commitment of the staff who have put in so many extra hours to support the students. Creating Louth Academy has been a major challenge, and I am delighted that we have made such a positive start to improving outcomes for the young people of Louth." David Hampson OBE, Chief Executive of Tollbar Multi Academy Trust, said: "When the Trust took over the predecessor school to create Louth Academy I knew that the task of turning round the school would be difficult. These results are better than we expected, based on the information we had on the students' prior attainment and their expected rates of progress. Both students and staff can be proud of these outcomes, especially at such an early stage in the Academy's development." With 16 GCSEs between them, friends Millie Fisher and Evie Shaw had something to celebrate today. Millie plans to study for her A levels next before embarking on a dance career. "I am really happy with my results," she said. Mum Becky Fisher said: "All I asked was that she try her hardest and she certainly did that. I am so proud of her." Evie, who was accompanied by her mum Jackie Shaw, said: "The Academy has really improved this year and we have had a lot of support. It has been much more organised and I think that has helped me to get these results." Jackie added: "Definitely the extra tuition and revision classes have helped Evie to achieve such good results." Millie Dawson, Sonia Lo and Paige Kelly celebrate. 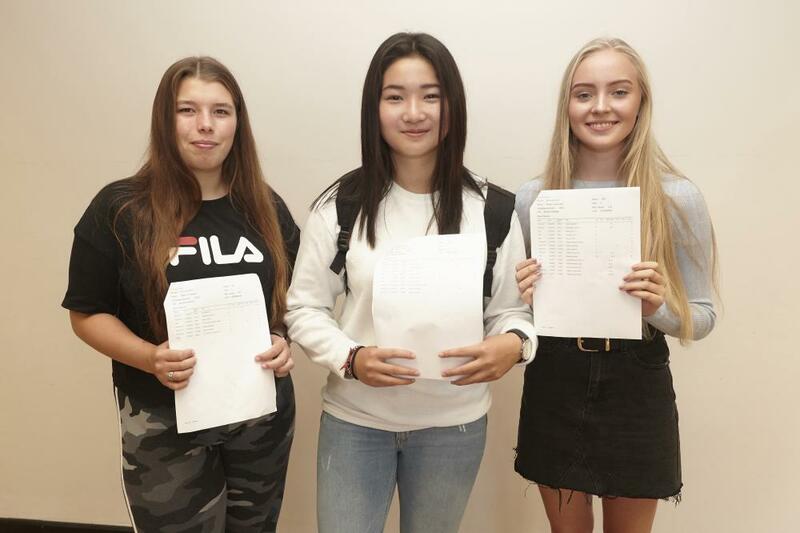 Louth Academy students Sonia Lo, Millie Dawson and Paige Kelly were celebrating as they opened their results today. Between them they achieved 26 GCSEs Grades 9-4. 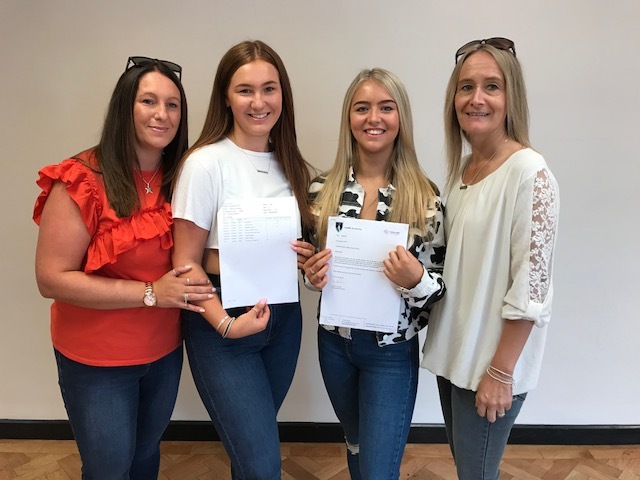 Sonia and Paige will now study A Levels at Tollbar MAT Sixth Form College, and Millie will study A Levels at Franklin College. Paige, who wants to eventually study Journalism, said: "I got nine GCSEs and I am very happy. The Academy is much better than it was before and that helped me."